Now even brighter! ADJ's Quad Scan Pro is designed to scan the room and dazzle a crowd with its higher output 4x 10-watt RGB Tri LEDs. This fixture offers all the latest features sought after in special effects lights such as: DMX-512 for programming or linking capabilities, exciting built-in sound active programs, no duty cycle (run all night), a long life LED source (50,000 hours), 4-button DMX display on rear (for easier programmability), IEC power daisy-chaining and is compatible with ADJ's UC3 easy-to-use mini controller (Sold Separately). With it’s light-weight and portable case design, the Quad Scan Pro is great for Mobile Entertainers, bands, night clubs, Roller Rinks and Bowling Centers. Considering purchasing the American DJ Quad Scan Pro? Have questions? Ask people who've recently bought one. Do you own the American DJ Quad Scan Pro? Why not write a review based on your experience with it. 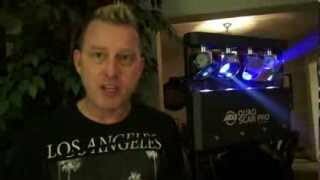 Seen a video for American DJ Quad Scan Pro online or have you own video? 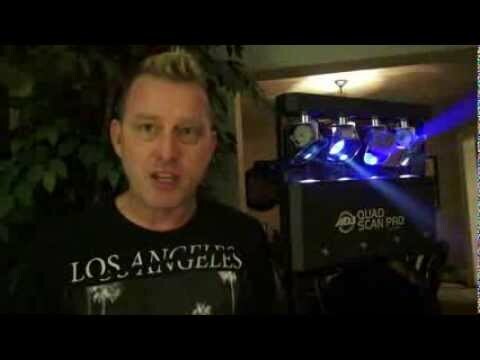 Check out American DJ Quad Scan Pro on DJkit.com!